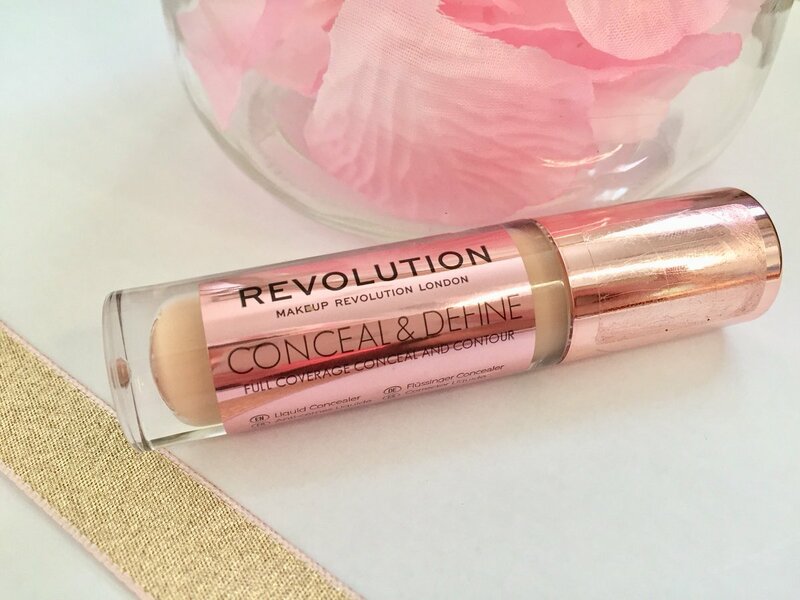 I think that this concealer deserves all of the praise that it is receiving, it does exactly what it sets out to do 'conceal & define'. The coverage is honestly crazyy, I couldn't be more impressed. I have to say I've never really got on with concealers but the under the eye trend is totally up my street and this is the perfect concealer to use for it, as it blends easily. Trust me. 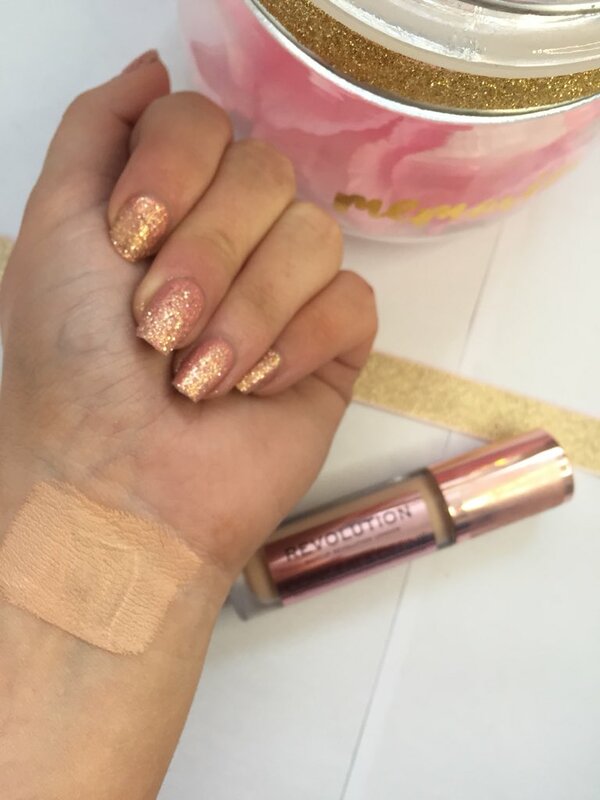 When I first heard about this product everyone was comparing it to the famous 'Tarte Shape Tape' and unfortunately I've never tried any Tarte products so I can't comment on this, however, I don't think we even need a comparison as this concealer is the most talked about concealer in god knows how long, so that says something. 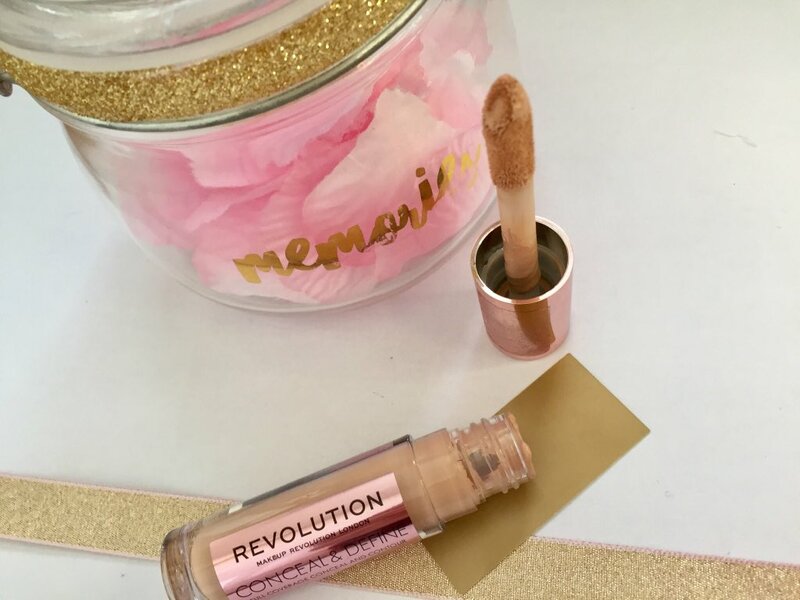 Makeup Revolution has done a brilliant job with the packaging as the rose gold is so simple yet very striking and I love that you can clearly see the concealer (makes finding the perfect shade, 100 x easier). When I went into my local Superdrug the majority of the shades were sold out, however, I managed to pick up C9 and I have to say the colour works perfectly for me and I'm obsessed. I can definitely see why everyone was raving about this concealer so much, it is absolutely AMAZING and not to mention it's £4...... four blimming pound. Definitely a winner in my eyes. 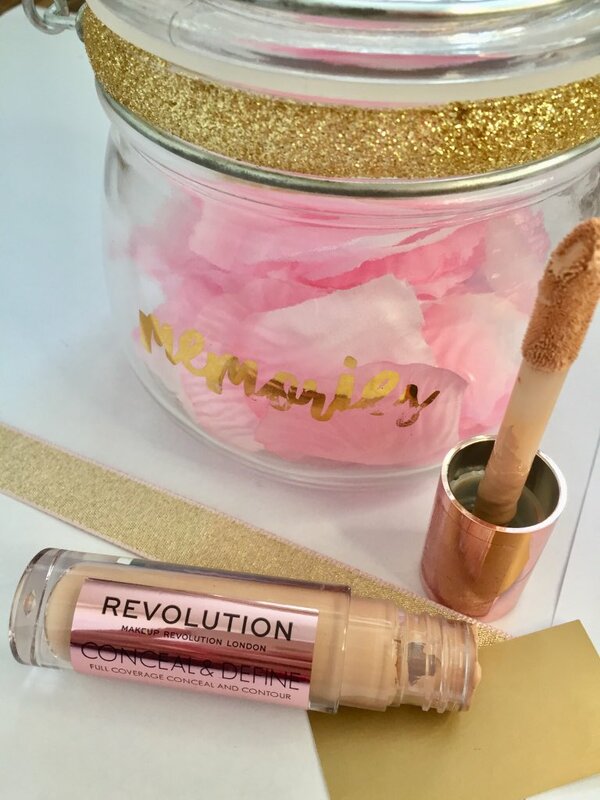 Revolution is such a great drugstore brand, especially when it comes to the variety of shades in their base products! I’ve not tried this concealer but will add this to my list to try! I'm actually running out of my current concealer and need to pick up a new one, so I'm definitely going to go for this!! Provided there is some stocked up in my colour when I next go shopping, haha!